(HILTON HEAD ISLAND, S.C.) – Hilton Head Golf Island (HHGI) – a collection of 28 of the Lowcountry’s premier golf courses – and JetBlue announce the “Airways, Fairways & Spa Days” sweepstakes featuring airfare, accommodations, golf and spa treatments for four, valued at over $5,000. To mark the arrival of the new non-stop JetBlue flights from Boston (BOS) and New York (JFK) to Savannah / Hilton Head International Airport (SAV), JetBlue and HHGI have teamed up to offer a giveaway golfers can enter from April 23 – September 23, 2014. As one of the nation’s foremost golf locales, Hilton Head is the preferred vacation spot of players seeking a high-concentration of world-class courses. Legendary designers like Pete Dye, Jack Nicklaus, Robert Trent Jones, Gary Player and Davis Love III are represented. The region features an unspoiled natural environment, beautiful resorts and inns and old-fashioned Southern hospitality. Rules and restrictions apply. Giveaway is courtesy of JetBlue Airways, Palmetto Dunes Resort, Country Club of Hilton Head, Golden Bear Golf Club, Harbour Town Golf Links, Heritage Golf Group and Hilton Head Island Visitor & Convention Bureau. For JetBlue terms and conditions, visit http://www.jetblue.com/vacations/getaways-terms. Marriott Vacation Club Resorts in Orlando, Fla., and Palm Desert, Calif.
ORLANDO, Fla. – April 16, 2014…The acclaimed Marriott Golf Academy℠, with locations at Marriott’s Grande Vista resort in Orlando, Fla., and Marriott’s Shadow Ridge resort in Palm Desert, Calif., today announced a partnership with TaylorMade-adidas Golf, whereby both Marriott Golf Academy℠ locations will become TaylorMade® Tuned Performance Premier Fitting Centers. Currently recognized among America’s 100 Best Club Fitters, Marriott Golf Academy℠ will now operate two of the 30 exclusive TaylorMade® Tuned Performance Premier Fitting Centers nationwide. This partnership will further enhance the dynamic club fitting experience at both Marriott Golf Academy℠ locations, while offering a more complete stable of equipment options for students to ensure they are properly fit with equipment that will help optimize their performance. Marriott Golf Academy℠ offers a wide range of expert instructional programming for golfers of all skill levels, including 2- and 3-day golf schools, 3-hour full swing & short game sessions, private lessons, on-course instruction, corporate programs, junior programs and a selection of programs and services from the Club Fitter’s Workshop™, an important complement to any golf instructional experience. The Club Fitter’s Workshop™ at each location is equipped with Trackman®, the most advanced launch monitor, swing analysis technology and software program in the industry, along with the leading putter fitting systems in the marketplace. The dynamic club fitting session is designed to assess a golfer’s game, calibrate their static measurements and determine the ideal equipment that will enhance their performance. Now designated as a TaylorMade® Tuned Performance Premier Fitting Center, the Club Fitter’s Workshop™ at each location will offer even more precise equipment options from the industry’s leading equipment manufacturer. While TaylorMade-adidas Golf will have an expanded presence at each facility, other leading equipment brands will also be available at the Club Fitter’s Workshop™ to accommodate the unique swing characteristics and preferences of all golfers. For more information on TaylorMade® Tuned Performance Premier Fitting Centers at Marriott Golf Academy℠ locations, please visit http://www.marriottgolfacademy.com or call 855-642-2369. With locations in Orlando, Fla., and Palm Desert, Calif., Marriott Golf Academy combines the world-class service and hospitality of Marriott with expert instructional programming. From low-handicap elite golfers seeking a competitive advantage, to newcomers to the game seeking an introductory program that is matched to their needs, Marriott Golf Academy℠ offers programming for the entire family, at two desirable Marriott Vacation Club destinations. For more information on all programs and packages offered by Marriott Golf Academy℠, golfers should call 855-642-2369, or visit http://www.marriottgolfacademy.com. Marriott Vacation Club is a global leader in vacation ownership with over 417,000 Owners, a diverse portfolio of 54 resorts and more than 11,900 timeshare villas throughout the U.S., Caribbean, Europe and Asia. For more information please visit http://www.marriottvacationclub.com. Follow us on Twitter at http://www.twitter.com/MarriottVacClub and like us on Facebook at http://www.facebook.com/marriottvacationclub. The adidas Group is a global leader in the sporting goods industry, offering a broad portfolio of footwear, apparel and hardware for sport and lifestyle around the core brands adidas, Reebok, TaylorMade, Rockport and Reebok-CCM Hockey. Headquartered in Herzogenaurach/Germany, the Group employs more than 50,000 people across the globe and generated sales of € 14.5 billion in 2013. Headquartered in Carlsbad, California, TaylorMade-adidas Golf Company sells golf clubs, balls, clothing and accessories under the TaylorMade, adidas Golf, Adams and Ashworth brands. TaylorMade-adidas Golf Company posted 2013 sales of over €1.3 billion. BEAVERTON, Ore. (April 23, 2014) – Sports teams often incorporate black into uniforms for a big rivalry game or season opener – it’s a color traditionally associated with power, strength and sophistication. The concept, especially popular during college football season, also inspired Nike Golf club designers when it came to creating the new Nike VRS Covert 2.0 Matte Black Edition driver. Nike Golf’s latest limited-edition innovation features a black Golf Pride Tour Wrap 2G grip, Mitsubishi Rayon Kuro Kage Black shaft, and matte black club head – a design element specifically modeled after matte black college football helmets that have popped up in recent years. High-Speed Cavity Back technology redistributes weight to the heel and toe allowing for increased distance and more stability across the face of the driver. The Covert 2.0 Matte Black Edition driver features Fly-Brace technology that ties the sole to the crown, stiffening the rear portion of the club and transferring more energy to the face at impact. The Covert 2.0 Matte Black Edition driver also boasts two additional proprietary technologies: A larger, re-engineered NexCOR face for increased ball speed and distance, and FlexLoft adjustability, which allows athletes to easily customize loft and face angle positions for 15 drivers in one. 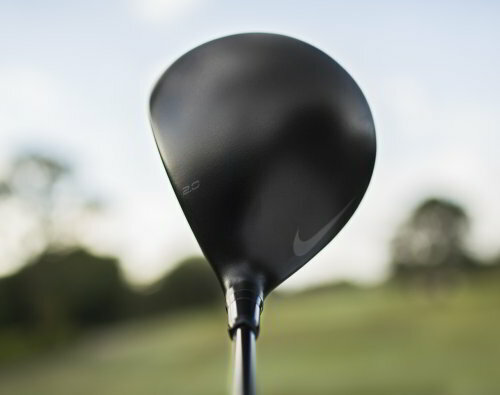 The Covert 2.0 Matte Black Edition driver will be available on Nike.com and at select retailers May 15, 2014. Available in right hand only. Located at NIKE’s World Headquarters in Beaverton, Oregon, Nike Golf designs and markets golf equipment, apparel, balls, footwear, bags and accessories worldwide. Nike Golf is passionately dedicated to ushering in the future of this great sport by developing ground-breaking innovations that enable and inspire athletes to become better. For more information on Nike Golf, visit our Web site at http://www.nike.com/nikegolf. To follow Nike Golf on Twitter visit http://www.twitter.com/nikegolf and to become a fan on facebook go to http://www.facebook.com/nikegolf. To view Nike Golf videos subscribe to our You Tube channel at http://www.youtube.com/nikegolf. Iconic Layout First-Ever Design by Renowned Robert Trent Jones, Sr.
(VIENNA, VA) – Colgate University has selected Billy Casper Golf (BCG) – the largest domestic owner-operator of golf courses, country clubs and resorts – to manage its Seven Oaks Golf Course (Hamilton, NY), the first design by legendary architect Robert Trent Jones, Sr.
BCG will provide turnkey management of Seven Oaks golf operations, including marketing and sales, staffing and training, merchandising and special events. Located less than one hour southeast of Syracuse, NY, the 6,915-yard, par 72 Seven Oaks is open to the public with memberships available. Popular among students, faculty, alumni, the general public and area residents, BCG is expanding an events calendar and other programming with special attention to residents, junior, women and senior golfers. Seven Oaks is in good company with other Trent Jones, Sr. designs which have hosted PGA Tour and major tournaments, including Hazeltine (Minneapolis), Spyglass Hills (Monterey), Firestone (Akron, OH) and Royal Kaanapali (Hawaii), and re-designs at Congressional Country Club (Washington, DC), Olympic Club (San Francisco) and Baltursol (New Jersey). Seven Oaks has hosted many brand-name golf outings and tournaments, including the U.S. Senior Open Championship Qualifier, USGA Men’s Amateur Qualifier and NCAA Division I Golf Championship. It has also been named among the “Best Public Golf Courses in New York” by GOLF Magazine and Golfweek. Situated on the Colgate University campus, Seven Oaks is named for the village in the English County of Kent, where the Colgate family lived before emigrating to the U.S. in the late 18th century. The first nine holes were designed by Trent Jones, Sr. in 1934, they opened in 1956 following the Great Depression and World War II; the second nine was completed in 1965. Trent Jones, Sr. attended nearby Cornell University – like Colgate, in upstate New York – and his love for the area’s scenic countryside led him to hold special admiration for Seven Oaks. Characteristic of famous Trent Jones, Sr. courses, Seven Oaks is known for its strategic placement of water hazards as well as extensive tee areas and large, expansive greens. Complementing the championship 18 holes is the Perkin-Sumption Practice area that opened in 2005 and The Seven Oaks Clubhouse, the full-service restaurant and caterer located at the golf course. For more information: http://www.seveoaksgolf.com, 315.824.1432. Founded more than 20 years ago in cooperation with golf legend Billy Casper, the company is the largest owner-operator of golf courses, country clubs and resorts in the U.S. with more than 150 properties in 28 states. Headquartered in Vienna, Virginia with regional offices across America, Billy Casper Golf directs all aspects of course and property maintenance, staffing and training, clubhouse operations, food-and-beverage, merchandising, golf instruction, marketing and public relations, special events and financial management. Buffalo Communications is the leading global golf-lifestyle public relations, branding, marketing-communications and creative services firm representing top brands in and related to golf. Buffalo Turf & Landscape Company provides golf course maintenance-only programs with a new fee-for-service structure that allows property owners unfettered visibility into actual activities and costs. Women on Course is the nation’s premier golf-networking organization, further solidifying Billy Casper Golf’s commitment to grow participation in the golf lifestyle. Colgate University is a highly selective liberal arts institution distinguished by the dedication of its 272 full-time faculty-scholars, and its commitment to undergraduate research, globalization, technology in teaching, sustainable practices, and residential education. Colgate offers 52 majors to a diverse student body of 2,900 undergraduate students, and supports 25 Division I athletic teams. The university’s 575-acre campus in rural central New York is renowned for its beauty and for the important role it plays in the student experience.